Mia has been earth side now for almost 3 weeks so I thought it was time to write down her birth story. I don’t think I ever did this with Zoe and there’s so many parts that I forgot in the past 2 years. Since Mia’s life began a bit different and has since been very overwhelming, I didn’t want to miss a chance to remember her very beginning. Be forewarned, this is a long one, mostly written for ourselves and Mia's memories. 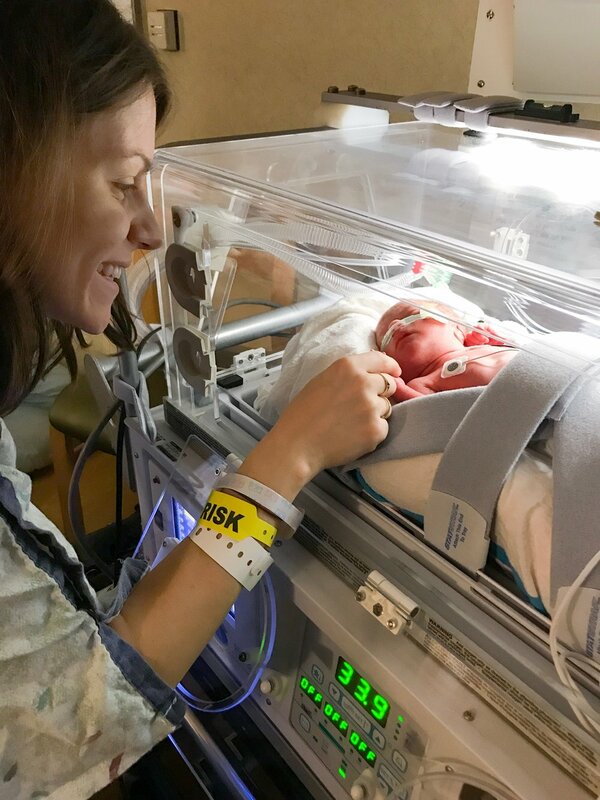 Her birth story begins about a week before delivery. This pregnancy wasn’t like my first. It couldn’t have been. I had a toddler I needed to chase after and that rarely had me relaxing or even sitting down until after 8pm. I also measured on track this time around, something I had been struggling with during my first pregnancy even though I ended up delivering a healthy sized Zoe on her exact due date. A few days before my 30 week midwife appointment, I photographed a wedding and noticed that I was having some funny looking discharge down there. Without going too much into detail, I quickly suspected that I was losing my mucus plug. I had also had some tenderness on my lower right side. I brought it up to my midwife but we decided not to worry too much about it since I had already had a vaginal delivery, and, after all, the mucus plug does “grow back.” So off I went, only to call the office again later that day when that discharge started turning a little red and increased in volume. I knew I had to take it easier, but that wasn’t all that simple. Zoe needed me more than ever and we had several house projects that needed to be completed. So I continued to live my life, doing kick counts and watching my mucus plug disappear throughout the week. May 11th, after a super eventful day, I went to lay down at about 6:30pm - I just didn’t feel right. My Braxton Hicks weren’t going away, although they weren’t painful at all. I was just so exhausted. We put Zoe down at 7:30pm and I was starting to struggle through story time, I was becoming really uncomfortable. I had been messaging a good friend throughout all this and she kept insisting I call my midwife - but here’s the thing: I am one of those people who hate to cause an uproar. I literally texted her: “I’m just going to ignore all this and go to bed” at 9pm and “Do you think Ida can figure out how to cut the umbilical cord if I have a home birth?” Ida is my cat, guys. I clearly wasn’t taking this serious but I did start become a bit worried and called Luke to come sit with me. At 10pm I downloaded a contraction timer since it had been hours and nothing was getting better. In fact, it was getting more painful and more frequently so. Turns out, it wasn’t Braxton Hicks, I was having the real deal contractions and they were 3-4 minutes apart. The app told me to pack a bag, so I finally called the midwife, left a message and collected the bare essentials - oils, Ningxia packets, change of clothes and a toothbrush. My midwife called back a few minutes later. Hearing her tell me to go to the hospital, with the ever so slight worry in her voice, was terrifying and at 10:37pm I got in the car and drove myself to the hospital. Yes, I drove myself to the hospital. We had made the difficult decision that Luke would stay back with the sleeping Zoe and would try and contact parents. At that time, everyone was asleep and unreachable, plus we still thought this was all just a fluke so we let it be. The hospital is only 7 minutes from us and while driving, I just felt such PEACE. I wasn’t scared, I was in the moment, driving in silence and breathing through the contractions. Of course when I got there I also didn’t feel right to do Valet parking for the Emergency Room so I parked about a half mile away and then almost got caught in a net and falling while walking to the entrance. I even considered waiting for the people in front of me to finish checking in to ask which way Labor and Delivery was but decided, since none of them seemed to have life threatening injuries, that they could spare a quick 30 seconds. When I finally reached where I needed to be, contractions were pretty painful and seemingly never ending. I called my mom, briefly told her what was happening and went through the doors. Triage is where things got real. They hooked me up, contractions were 1-2 minutes apart and when the doctor told me I was 4cm dilated, my wall crumbled. I knew this baby was coming and I was absolutely terrified. I cried from fear for my child, from loss of control, from being overwhelmed by it all. Thankfully, that friend I had been messaging earlier was able to come to the hospital and sit with me through it all, there was no way I was going to make it through this alone. When I calmed down enough, an action plan was laid out: I was given a steroid shot and high dose of Magnesium for baby’s heart and lungs and to possibly stop my contractions. I knew about both of those things but had no clue what the Magnesium would do to me. It was like a tidal wave came rushing over my body. I had never felt so sick in my life and I definitely regretted eating a large dinner with corn on the cob just hours prior. Let’s leave it at that. There was talk about possibly transferring me to another hospital which would be better suited for the neonatal care we would need but it was decided to wait and see what the drugs would do. An hour later, although contractions slowed to every 3-4 minutes, I was 6cm dilated and now considered too high risk to go anywhere but a room to deliver this baby. Oh and my midwife? She was also off the table due to that high risk status. So I came to terms with the fact that a complete stranger would deliver this child and up to my room I went. It was around 1am at this point. This is where things get blurry. As I laid there, trying not to move too much, willing my cervix not to dilate further and breathing through contractions, more and more people came in and began explaining things to me. The worst was the Neonatal Nurse Practitioner who came to explain all the risks of delivering an extremely preterm baby and what I was to expect once she was here. Then she wouldn’t leave. She just kept looking at me, expectantly, and asking if I had any questions. So I went with the worst question I could think of: “So there is a chance the baby won’t survive?” And, basically, the answer was “Yes” - just in a much nicer way. I just felt so numb, but also eerily at peace. There really wasn’t any way to change what was happening, so I accepted it. For Zoe's delivery I wanted to wait and see how I would do before getting the epidural, so I did the same again this time. Around 4am, after drifting in and out of sleep, a voice very clearly spoke to me saying “get it now.” The pain was manageable, but that voice was so loud, I decided to listen. 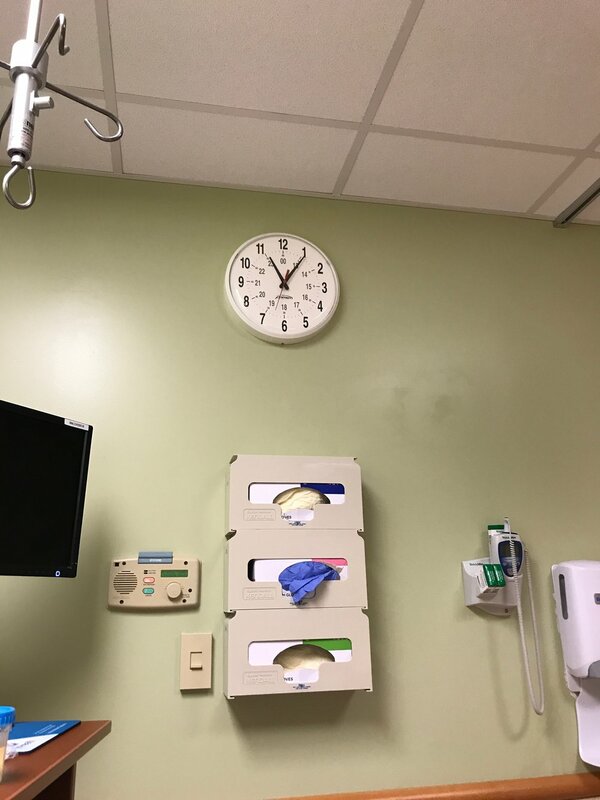 Time is fading from memory but around 6:30am the nurse came in and checked me. My water had broken at some point since I was last checked, and when the doctor, who I immediately loved, came in, I was 10cm dilated. Luke, still at home with a sleeping Zoe and being frantically updated by my friend, had finally reached a family member. I can’t truly put into words what happened in the next 45 minutes but I was told not to move, not to sneeze, not to cough, just to lie there as still as can be. We were trying to keep this baby inside me until Luke got there. He arrived around 7:20am, the NICU doctors and nurses were called in, everyone got into position and Mia was born at 7:54am after just a few pushes. I had planned for delayed cord clamping, lots of immediate skin to skin and getting her to latch on right after birth. Instead, Mia was placed on me for 30 seconds, during which she let out a fierce cry - something that extremely preterm babies don’t always do - and then she was whisked off to be wrapped in a plastic bag to keep her warm while the doctors and nurses made sure she was going to live. I wasn't able to hold my child, or even see her, so I just laid there in disbelief, watching the doctor deliver my placenta. 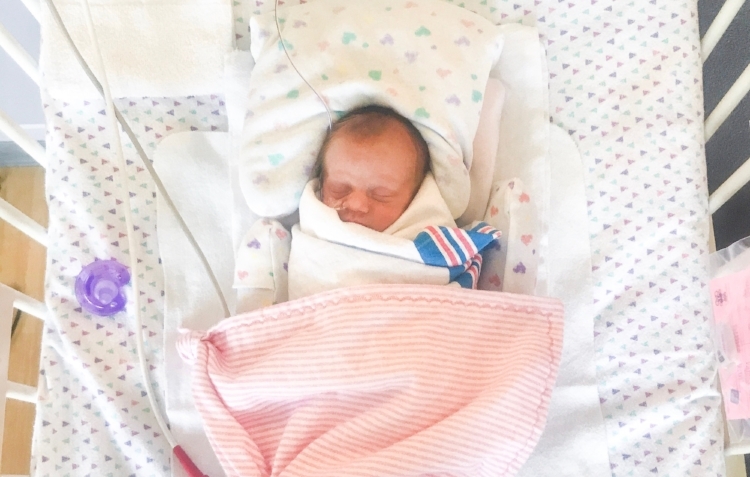 After a few minutes, Mia was moved to the special care nursery where she would stay for the next few hours until she was transferred to another hospital 30 minutes away, which was better equipped for a 31 week preterm baby. I didn’t get the birth experience that I wanted, far from, but Mia was alive and doing pretty well. That alone was a miracle. We discovered that I had a placental abruption, meaning my placenta partially detached itself from my uterus, something that can be fatal. The abdominal tenderness now totally makes sense, that’s where it detached. Google more about it, because I can’t bring myself to. The fact that I could have easily lost my child is overwhelming to me. I am just beyond blessed that God had his hands over the entire pregnancy and I was able to deliver a beautiful baby girl. Chances are, some friends or "friends" have been talking about essential oils. There's a lot of people using oils, and that's amazing! Finally natural alternatives are becoming "cool" - but did you know who you purchase your kit through matters? The way that Young Living is set up you not only purchase your oils through a distributor but you also get placed on their team. Some people have amazing teams, filled to the brim with positivity and support, others, well, not so much. Not every team is created equal, and honestly, I just got super lucky when I bought my kit and bought it from an amazing person. I was clueless and didn't know there was more to this oil thing, but thankfully, I landed on a team called "The Happy Oilers. The Happy Oilers are different, but in a good way. They will NEVER pressure you - ever. Their love of oils is tangible and most likely they can talk your ear off for hours about them. I mean - just look at me! It's kind of an obsession really. It just happens - you'll get there eventually. But the love of their oils is real. Their stories are real. They would share whether they got a dime from the company or not. This very team also has the most resources for you. 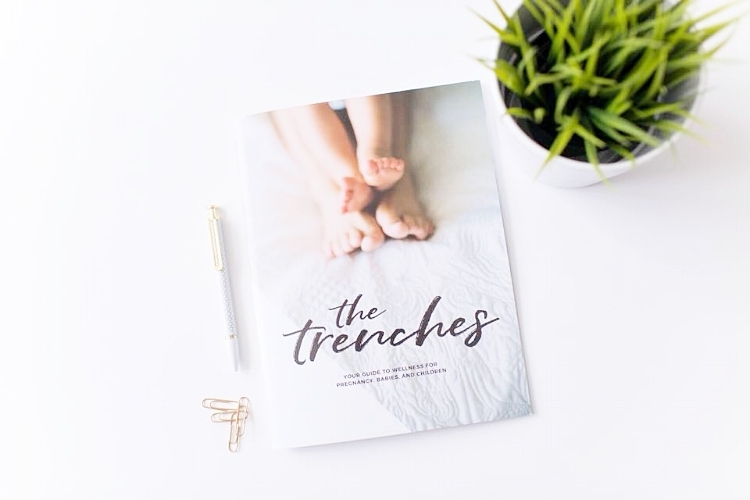 (Like a booklet for mamas and mamas to be) They truly invest themselves in your oil journey. They are available for your questions, they are here to guide you to keep you safe while using your oils and get true joy of changing people's lives for the better. One-on-one training, apps filled with recipes, Facebook groups and some of the funniest people I know are here to become your new bestie. It's pretty awesome. So if you've been thinking of giving "those oils" a try, make sure to buy your kit (or just a few oils) from a person that is all in with you. Want to be on my team and get the best support and resources out there? Then hop on over here and get started!